My recent ship in from hopshopgo brought me lots of happiness. They arrived a day after my birthday so it was like birthday gifts from myself. I got these pretty long ago when they were having stuff like 40% off their entire site. I'm thinking it was Independence Day sales. I spoiled myself to these goodies that I just couldn't resist. I also won a $250 gift card from the #wsonme contest and I can't even remember what my entry was like. They were so sweet about it though. Just read the card! They did, however, take an eternity to ship the gift card and I kept pestering them about it because I really needed the credit to shop. Teehee. This one is kinda like the grey batwing cardi that I got from forever21 and debshops. The cutting is exactly the same. It is soft and comfy as well but my piece had a few runs here and there which made me quite upset. It seemed like they just took it from one of their stores and so it means that someone else has touched it with their dirty hands (maybe). The material is quite interesting. It's got a mix of materials. The white streaks are like cotton or something but it gives an interesting texture to the cardi. I actually got this in Medium because there were no more smalls. I don't think the size really makes a difference because it still looks good on. Maybe the sleeves are a bit longer? On the whole, this is a really comfy cardi and great for boho looks. The fringe details are super pretty and it is quite light to wear as well. Totally fell in love with the little details on the back, plus it's a swing top so I just had to have it. I got it in maroon since black and white were out of smalls. It can go with plain denim shorts or with your favourite printed shorts. There are lots of ways to style it. 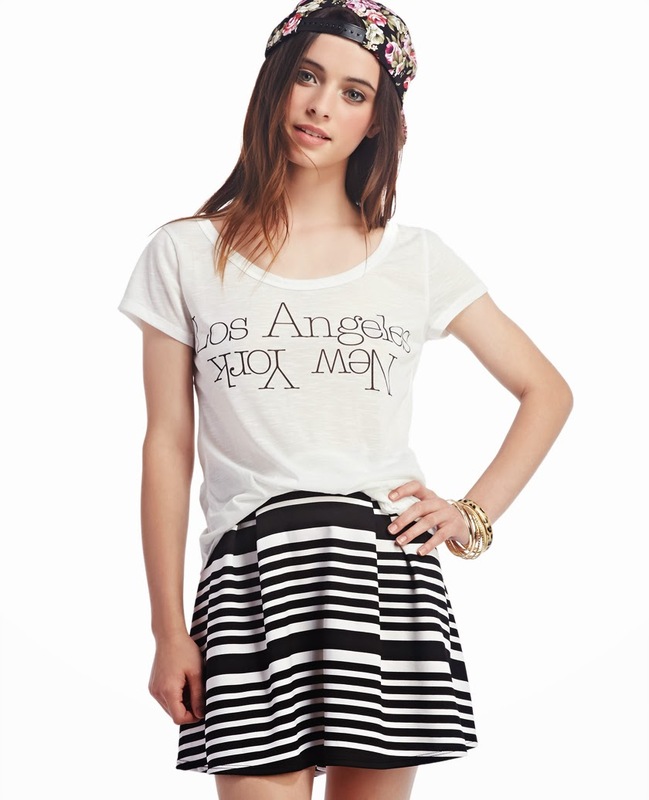 This tee totally says what I feel every single day. It is super soft and comfy to wear. I'd pair it with my utility jacket and some denim shorts for a casual look. It is actually quite fitting on me and not as loose as it looks on the model but that's maybe because I got it in XS. 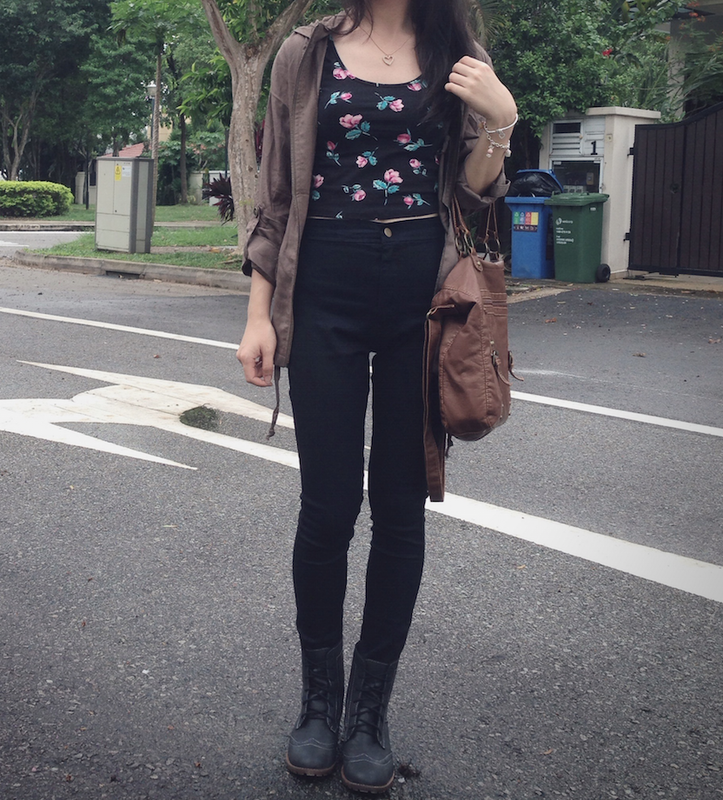 I have loved such tops ever since I got my iwearsin crop tops and this is sorta similar. The lace pattern is quite unique. It has a high front and low back as well and I almost got it in white but then I decided to save my money. 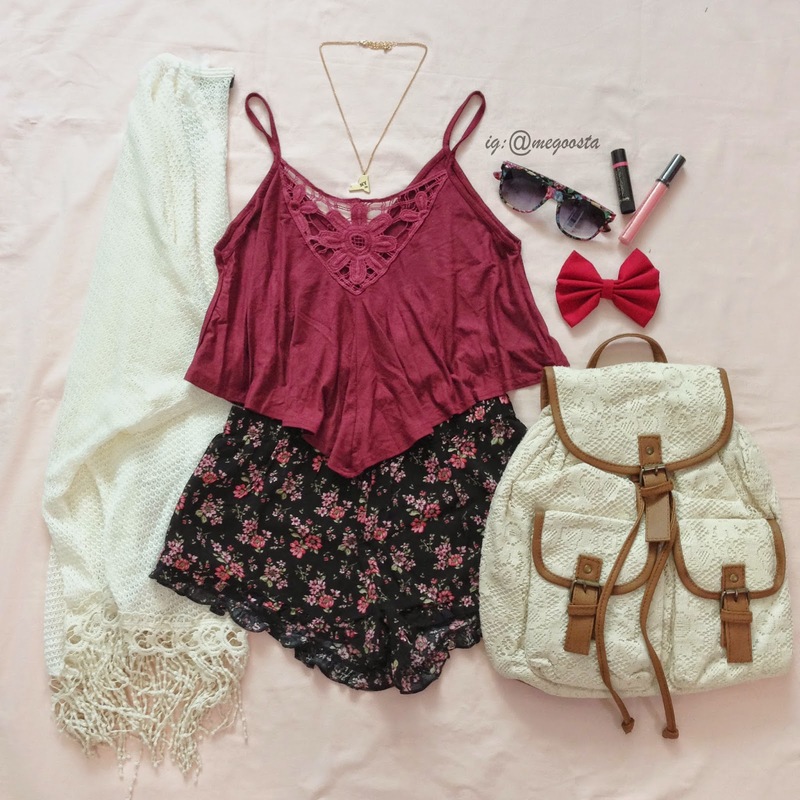 This crop top is just totally adorable. The bow detail is so sweet. 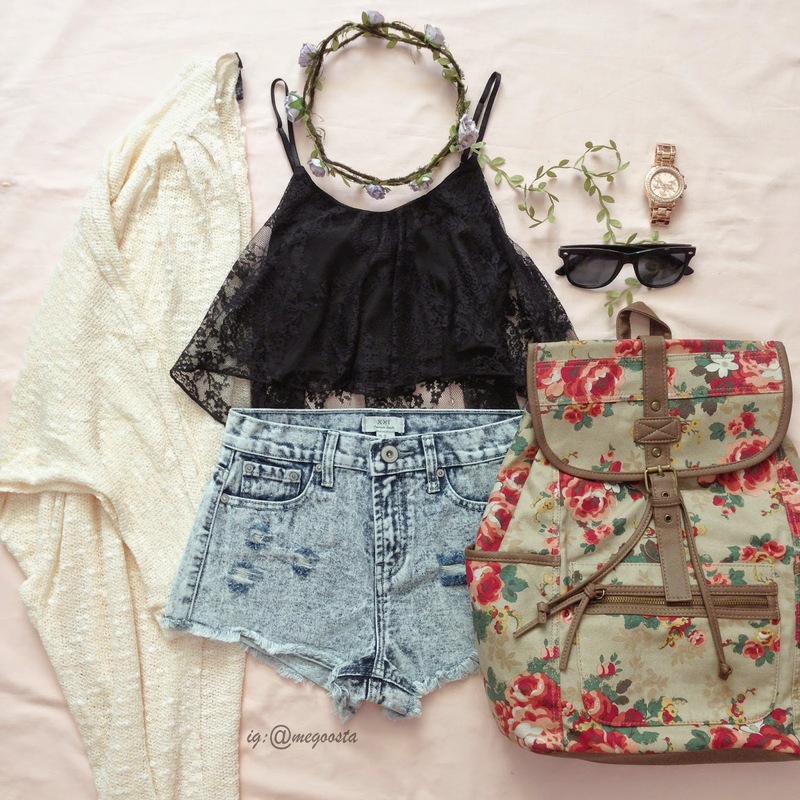 I'd pair it with floral shorts or skirts for a super girly look! I know I can probably only wear this on fridays but I couldn't resist it because it's got a bit of swing to it. It is also quite cute but a bit on the expensive side. The shirt is really soft though. I got this when they were having 40% off storewide and I'm glad I did because it seems like the jacket is almost out of stock. However, I'm quite bummed that I received a defective piece. One of the pockets came without the button so it looks weird, uneven and not perfect. My OCD is sure to kick in. The metal studs seem to be glued on and I am quite sure I can easily rip them off if I really do not like them. They have another anorak jacket that is 90% similar to this but with only 3 pockets on the front and the pocket flaps do not have buttons. I was having such a hard time deciding between the two but I settled for this eventually. It has a detachable hood as well but I think the hood adds a really cool look to the jacket. I loved how the tee looked on the model. It seemed so soft and comfy and it really is. I also really like the scoop neck, plus it was on 40% discount so I just got it. The graphic itself is cute. I would totally love to go back to LA and visit NY one day. 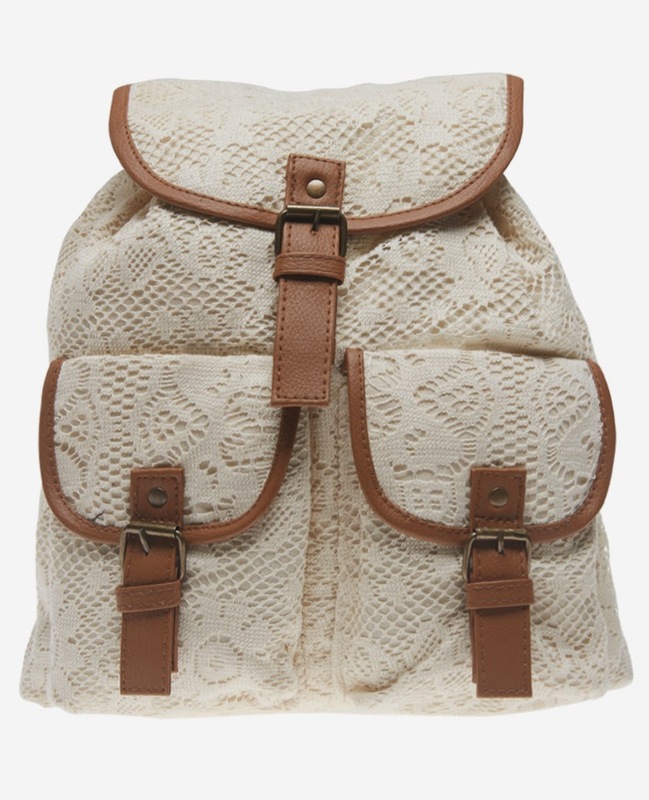 I've been eyeing this backpack ever since I saw one on Charlotte Russe but I couldn't get it because CR doesn't accept international credit cards. I was so happy to have found it on Wet Seal. Although it's a bit expensive, it is about $18 after discount. Right now, the backpacks are $19.50 and I think they are well worth the price. The material seems good, strong and sturdy. I can fit my 15" laptop as well although the bag will take on a weird shape. I got it to use for school but right now, I'm thinking it is way too pretty for that. I got this jacket in Olive and though the web picture shows that it is dark brown, it is actually olive green. I was kinda sad because I was totally looking forward to a dark brown jacket. Otherwise, this jacket is great. It is soft and has a very relaxed fit. Super comfortable to wear. Totally adore this simple tank top and I think many others do as well because all the colours sold out in smalls pretty fast. I got it in grey because that was the only colour left with a XS/S. The back has some elastic to give it the cinch and it's so soft to the touch. It's got a great flow too. I wish I had the other colours. It is 40% off now so grab it if you see your size! This one went on clearance so I got it for cheaper. I'm not sure how much I paid for it. 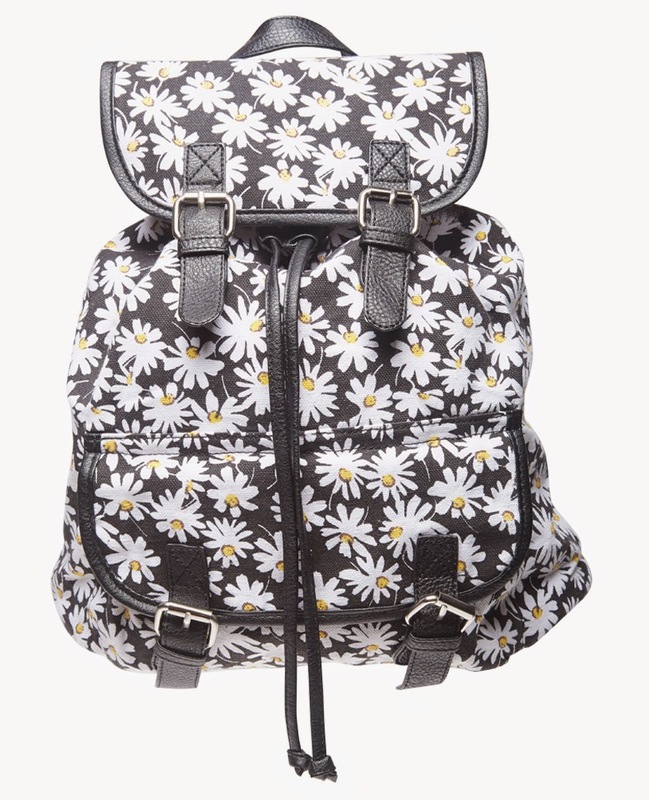 It is slightly smaller than the daisy backpack and actually feels kinda weird when worn. I'm also kinda scared that the big will get dirty easily. The crochet sits like an overlay on the bag but everything else still feels fine. I am totally loving my haul from Wet Seal. They make shipping back to Singapore so easy as well because they pack my items so tightly and in a bag so I really save on weight and repacking fees.